Holiday cooking is all about slow cookers! 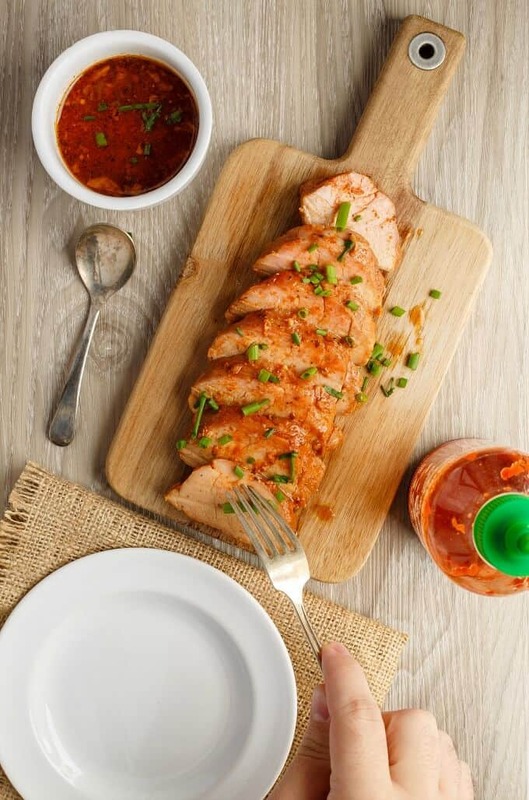 I am partnering up with Hamilton Beach Canada today to bring you this slow cooker sriracha pork tenderloin! It doesn’t get any easier (or tastier!) than this! This is a sponsored post. I was fortunate enough to receive products and/or monetary compensation from Hamilton Beach Canada. Though products were received, all opinions are my own and I would not recommend a product that I did not enjoy. Does anyone actually hate the slow cooker? 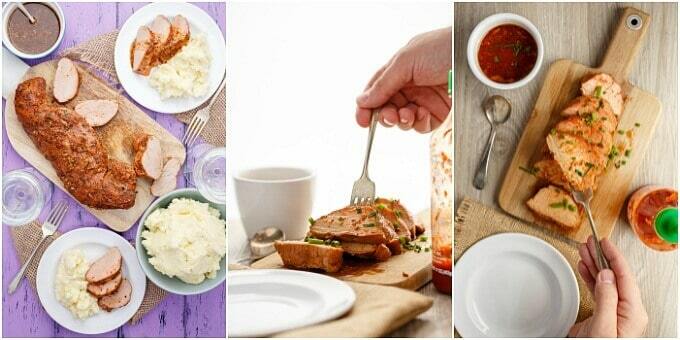 It is so versatile, easy to store, and makes delicious food! I already have two and cannot live without them 🙂 And what is better than two? Three!!! 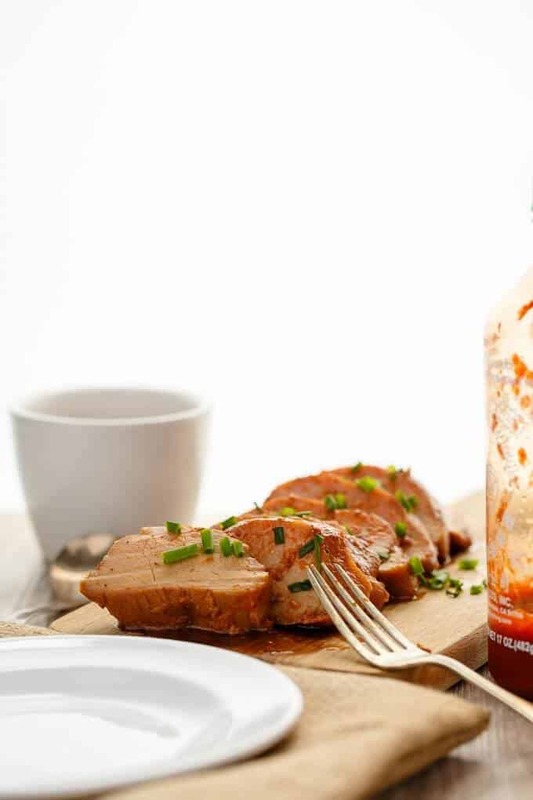 Today’s slow cooker sriracha pork tenderloin is comforting, hearty, and a great beginner recipe. Pork tenderloin overcooks quite easily, but I find I have no issues when it comes to Hamilton Beach’s slow cookers. 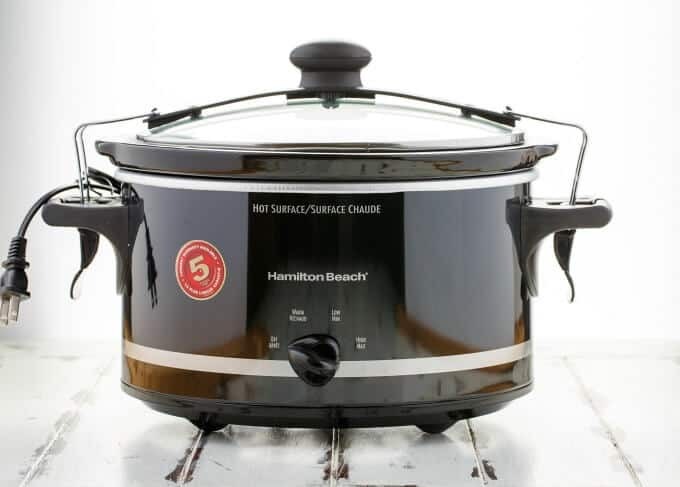 My original 6-Quart Set ‘N Forget Programmable Slow Cooker from Hamilton Beach has been a life-saver! You will never overcook meat again! That built-in thermometer probe is a real game changer! So why am I talking about my old appliance if I have a new one to showcase today? Well, let’s be honest, can we ever have too many slow cookers?! Haha! In all seriousness, slow cookers do differ. Size, shape, features, etc. Hamilton Beach has many of their own varieties, and since I have always had success with my old slow cooker, I figured it would be great to give more of their appliances a shot! Say hello to this Stay or Go 4-Quart Slow Cooker! Small, compact, and great for traveling! See that lid? It locks in place! Meaning, any potluck, family dinner, or holiday get-together is made so much easier when it comes to travel. I hate traveling with anything hot, soup-like consistency, or fancy baked goodies! Such a hassle and I usually spill something along the way. Besides the locking lid, I really do appreciate the size of this appliance. Slow cookers are supposed to be filled halfway at least to fully utilize its cooking capabilities. Many times I do not follow those guidelines. Not on purpose, though!! 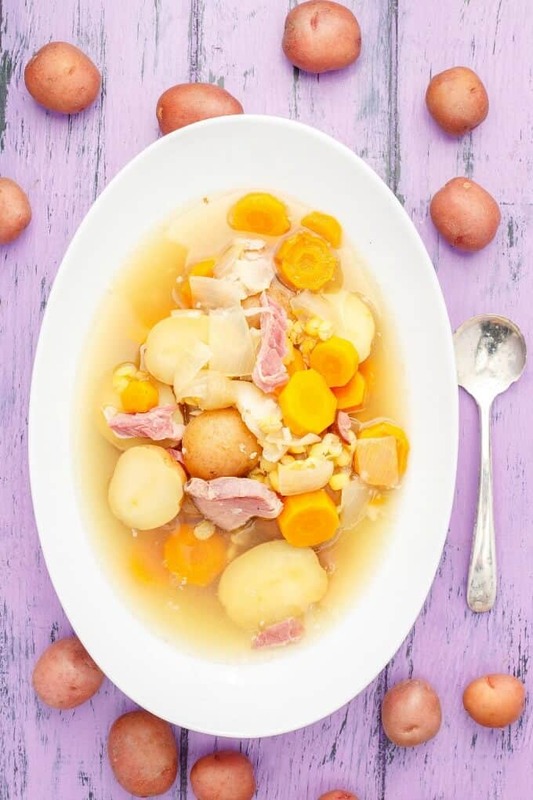 With internal meat temperatures being so low nowadays, veggies such as carrots and potatoes don’t have enough time to cook. I usually off-set this by pre-cooking my veggies a bit beforehand. Or leaving my veggies to cook longer in the slow cooker after I have the meat rest. Much like my Sriracha chicken breasts, this meal packs bold flavours! However, since I omitted the chili flakes, it should not be overly spicy! 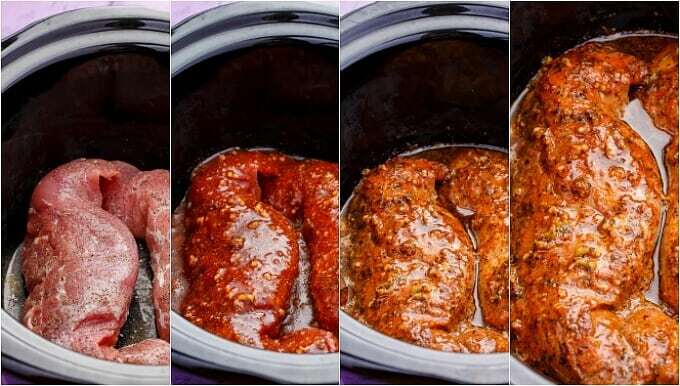 Add pork to a 4-quart slow cooker (6-quart has worked for me, too!) Season with salt and pepper. Combine all sauce ingredients. Pour over pork. Cook on low heat for 2 - 2 1/2 hours, or until internal temperature reaches 140-145F. Remove from slow cooker and cover with aluminum foil. Allow to rest 10-15 minutes before slicing. 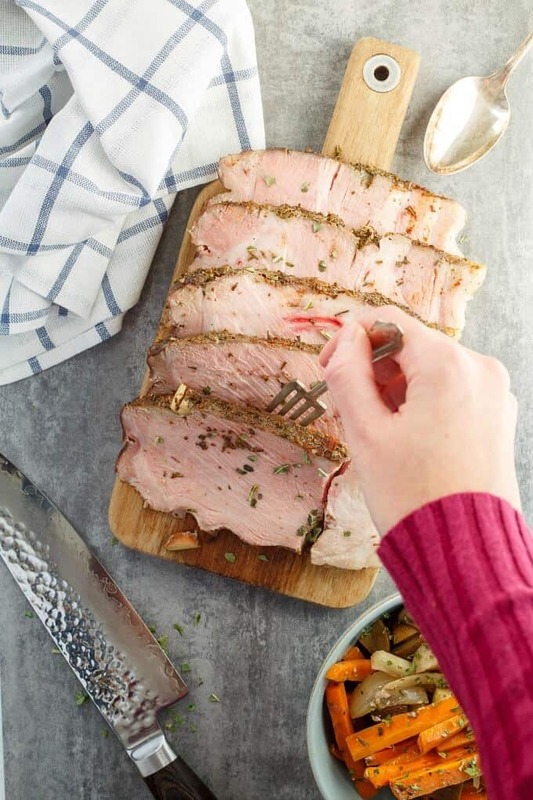 Pork tenderloin is so easy to overcook! It all depends on how thick your meat is. I use my built-in meat thermometer so my meal is never overcooked.